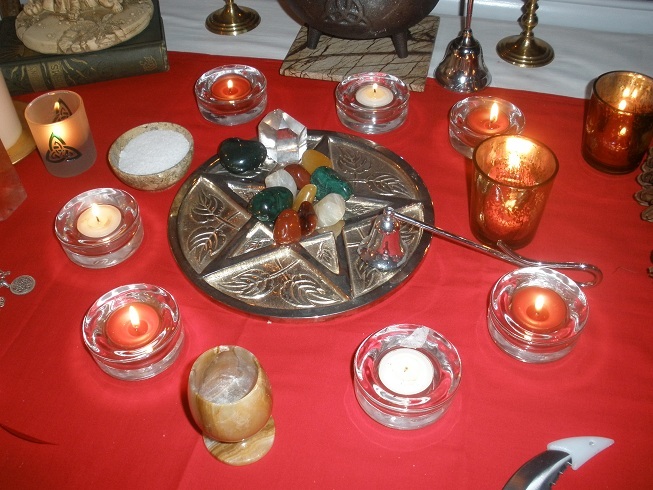 The Wheel Turns to Imbolc 2015……. Merry Meet my friends and Blessed Imbolc Eve! I have been very remiss about writing in my blog and I’m sorry for it. Before I go further though, this post is my 200th blog post and I have been blogging now for 5 years! I can’t believe it’s been that long! I want to thank you all so much, my readers and friends, for showing any interest in my writings. I very much appreciate you! Since the holidays I have been busy enjoying Winter! I have been reading like crazy which was one of my goals I set at New Years. Even following a couple of book challenges and I’m enjoying it tremendously. I’m one of those people who have a house full of books, including some shelves of books I have yet to read. I love reading and Winter for me is the perfect time for it. How about you? Are you reading more when forced to be indoors more? Another thing I’ve been working on is making up an herbal chest for medicinal use. If you’re a fan of Outlander ..books and series…by Diane Gabaldon, you might know what I’m talking about. I adore everything Outlander! I made up a chest much like Claire’s “wee” box of medicinals. I’ve added all the herbs that to me have a purpose of use for good health, healing, calming etc. I’ve of course added essential oils, and things like gauze, bandages, scissors, tweezers, thermometer, and some modern day meds too. Have a tummy ache, I have candied ginger, fennel seeds, or peppermint herb for tea. In pain, I have nettle tea or arnica salve. Have a cut, I have my own healing salve. You get the idea 🙂 It was a lot of fun to do. But while we are smack dab in the middle of Winter here in Ohio, tomorrow is Imbolc. When day and night are equal and we recognize that the light extends each day and takes us to the first day of Spring in March. We honor Brighid on Imbolc by keeping a fire on the hearth and inviting her into our homes with the use of a corn dolly, Brighid’s cross, or Bride’s bed. I like to light candles all over the house, and at midnight swing open the doors and invite to come to my hearth bringing peace, protections, joy and abundance to my home for the year. 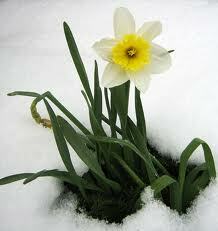 Imbolc is also about doing our Spring cleaning both in our homes and in our own attitudes and situations. Throwing out those things that are no longer useful, old, raggedy, ugly, joyless…clearing our spaces of clutter leaves us open to new possibilities and bringing light into our dark places. Gardeners are beside themselves knowing Winter is halfway over. I know several witchy gardeners who have ordered their seeds, planned their garden beds and are dreaming of digging in the dirt again. 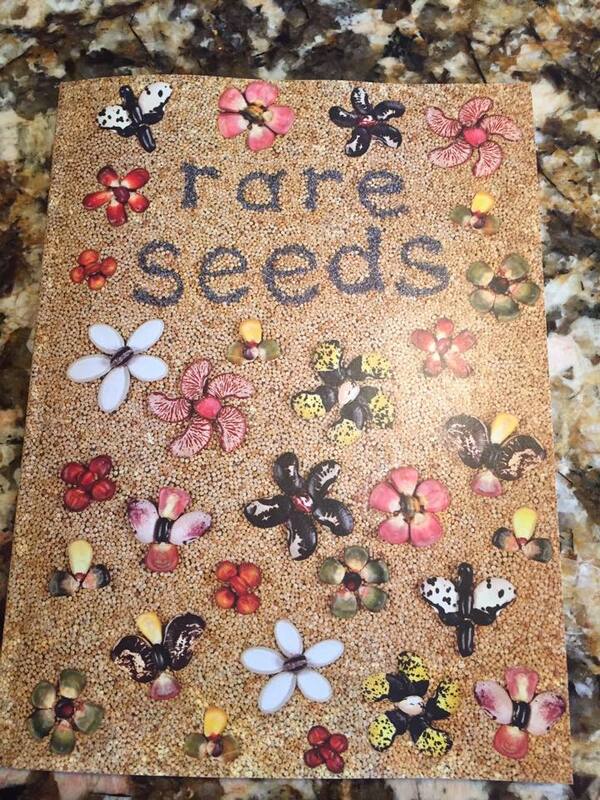 I myself ordered 18 packets of seeds today….a mix of herbs, veggies and flowers. Can’t wait to get them. Planning your gardens are a great way to spend these cold Winter days. Tonight, it’s pouring rain. We didn’t get the snow expected..like nothing! I’m so bummed lol. But it’s a good night for quiet and contemplation, lit candles and fire. Besides writing this blog, I’m journaling my thoughts for what I want to manifest in the Spring. I have written down and will burn those things I want to release in my life. Old angers, hurts, frustrations, poor habits are all good things to let go of. I bet you have some of those things you can let go of too? Try burning it..it’s so satisfying!!! 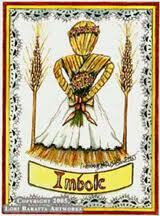 Imbolc has been one of my favorite Sabbats, as I’ve said before, because it was the first one I really celebrated. 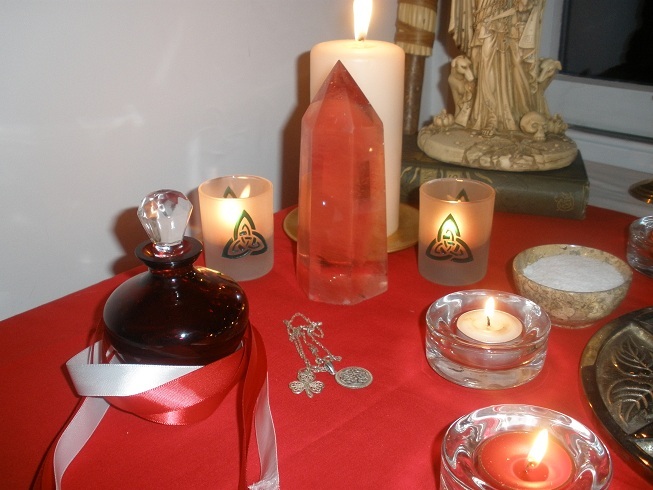 That magickal feeling I got when I washed my floors and windows with herbal washes, lit white and red candles, cleansed my home and invited Goddess Brighid to join us in our home…well, I get that feeling still 16 years later. 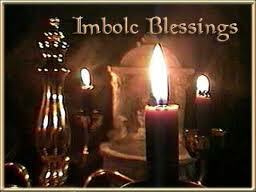 I want to wish all of you a very Blessed Imbolc. May Brighid bring you all wonderful things for the coming year. May the rest of the Winter be kind to you too…remember Spring will come! Merry Meet friends. Hope this post finds all of you happy and healthy and enjoying your Winter (or Summer) so far. I have been happily settling in to my new home, enjoying watching it snow, relaxing by the fire etc. Despite the fact there are still boxes to unpack, I’ve had time for some fun family days, some reading or crochet, and visiting with old friends on an evening or a day out. 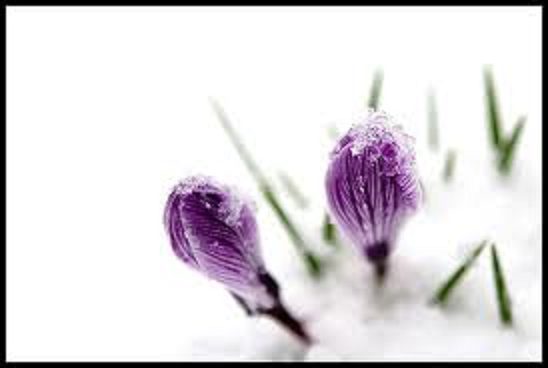 Tomorrow is Imbolc….one of my favorite Sabbats. Besides the fact that it was the first Sabbat I celebrated, it is also a favorite because I view it as a new beginning Sabbat. It is the Winter will be over soon, Spring cleaning, thinking of being outdoors gardening, and longer days Sabbat! What’s not to love about that! Though I love Winter…I appreciate that the Wheel continues to turn and brings with it the warmth of the Sun and all that the Sun will bring! 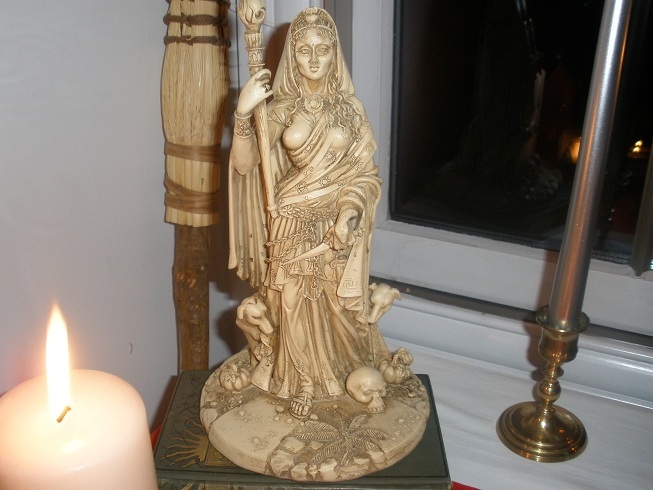 Also, I’m devoted to Brighid and as this is Her Sabbat I enjoy honoring Her, inviting Her in to my home and listening to what She may have to say to me. Here in Ohio, we have a couple inches of snow on the ground right now and below 0* degrees with negative wind chills temps! Tomorrow, a big snow storm comes in!! We expect about 4 more inches! My Imbolc will be spent sitting by the fire, smudging the house, burning candles and incense, baking and cooking and my Imbolc ritual tomorrow night. My ritual may have to be inside because of the snow and the freezing cold but I’ll step out for a few minutes for some Moon time for sure! My house is clean and organized (thanks to the fact I just moved LOL) and I can really enjoy the day. As the Sun goes down, I’ll light the candles. I’ll throw open the door and invite Goddess Brighid into my home asking for Health, Joy, Peace and Abundance for this coming year for my family and loved ones. Add to 1/8 cup almond or jojoba oil and blend well. You’ll love the scent. Use it to anoint your candles, your altar and yourself!! 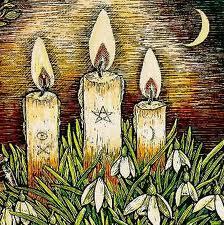 I wish you all a very Blessed Imbolc. (Blessed Lammas to my Southern friends) However you decide to celebrate it…DO celebrate it! and remember that it means that Winter will soon be over and Spring will be here in all Her glory! Welcome the Sun!! 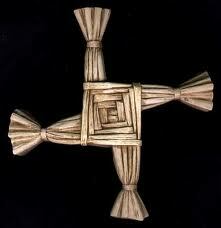 The Wheel Turns to Imbolc 2013…..
Merry Meet my friends. I’m having a quiet evening by the fire on a very cold, Moon-lit night and thought I’d write a post..catch you all up on a couple of things. The best thing I have to tell you is that my new grandson Henry came into the world this past Sunday..healthy and beautiful! Mom and baby both doing great and our family is overjoyed he is here. There is nothing like the miracle of birth and holding that precious soul in my arms..feeling him and smelling him…pure Bliss! Now Imbolc is just around the corner. Those who know me or have followed me here know that Imbolc is one of my favorite Sabbats..simply for the fact it was the very first Sabbat I truly celebrated as a Witch. I mean instead of just reading about it..I got up and DID something! When I got that feeling..that magickal feeling I get when I connect with my Craft..well that was it for me. I found ways to celebrate not only all the Sabbats, the Full Moons and New Moons, but made a point to bring magick into my Life and home every day!! 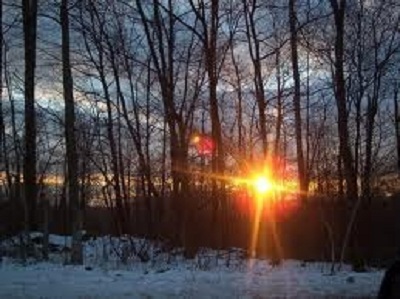 For me Imbolc is about looking forward to longer days of Sun and getting ready for Spring. But it’s also about enjoying what’s left of the Winter. I get my house sparkling clean, smudge it, use herbal washes on floors and windows, put something good to eat in the oven or on the stove, and do a project that will allow me to enjoy a cozy night by the fire, knowing that the early dark evenings won’t be with us much longer. I might work on pages for my Book of Shadows, do some studying on a subject like herbs or tarot. I might pull out garden books and seed catalogs and plan for my Summer garden, or make poppets for spells, or crochet something for someone I love. Of course, on Imbolc eve I will do a ritual at my altar or under the Moon (I love bundling up and going out to see the Moon and absorb Her magick and energy on a cold, see-your-breath night!). My celebrations of the Sabbats….over time…have become simpler. Doing something to honor the day…the turn of the Wheel..can be as complex and simple as you want it to be. Depending on my mood I could do either..but I have found the simpler, deeper meaning moments to bring more magick into my Life and more Joy as well. A nice meal, candles lit, incense burning and quiet time with Goddess can be all that I need most of the time. Meditation..something I haven’t been taking the time to do here lately…can also be a lovely way to open yourself to what the Goddess wants you to know..to listen..to feel. I DO love..just after Sunset..to invite in the Goddess Brighid to bring health, love and abundance to my home and hearth..that is something I’ve done for years and I always feel Her presence when I do. Try it….just light red and white candles all over your house…take a candle with you to your door..throw it open and invite Her in!! See what happens!! Imbolc, after all…is Her Sabbat! I came across a recipe I’d thought I’d share with you. I intend on making it for Imbolc. Preheat oven to 350 degrees F (175 degrees C). Grease and flour a 9×5 inch loaf pan. 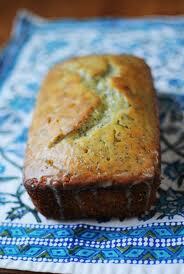 Stir together the flour, salt, lemon zest and poppy seeds using a wire whisk. In a medium bowl, cream together the butter and 1 cup plus 2 tablespoons sugar. Beat in the eggs one at a time. Then stir in the dry ingredients. Pour into the prepared loaf pan. Bake for 60 to 75 minutes in the preheated oven, until a toothpick inserted into the center comes out clean. To make the syrup, combine 3/4 cup sugar with the lemon juice in a small saucepan, bring to a boil, then remove from heat and set aside to cool. When the cake is done, place the pan on a wire rack with a cookie sheet underneath. Prick the top of the cake several times with a toothpick or fork. Brush the top of the cake with the syrup, allowing lots of it to run down the sides and soak into the cake. Let me know if you try it and like it. I’ll let you know too. I’ll peruse my recipe books and magazines and may be back with some more recipes soon 🙂 Until then, I hope you all have a wonderful weekend. Make it a good one!! There is a quarter Moon out there…check Her out! Merry Meet again friends. Hope all is well with all of you! Whew….I don’t know about you but I’m tired and energized at the same time! I have spent a couple weeks really deep cleaning my house..”Spring” cleaning as some say….to get my home ready for Imbolc. I have cleaned high and low, ceilings to floor, linens and curtains washed, ceiling fans cleaned, cobwebs and dust bunnies swept away. Closets, drawers, and cupboards are organized and de-cluttered. Furniture swept and cushions flipped and fluffed. Bathrooms scrubbed, floors swept and mopped…… Everything has been cleaned! 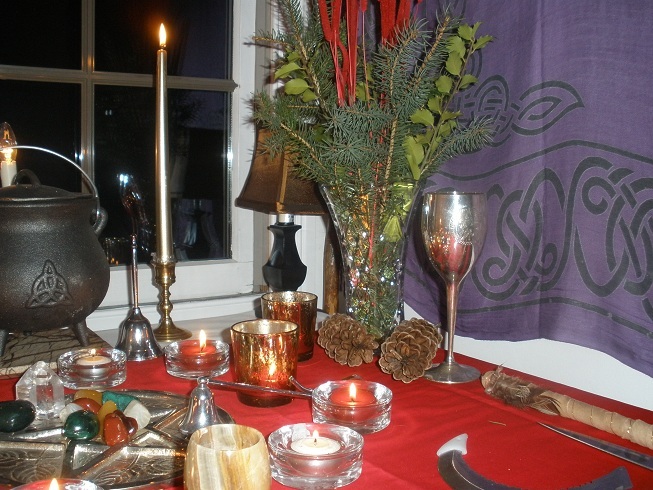 My house looks great…the energy feels great and I’m ready for Imbolc. That is why I’m both tired and energized. I’m tired from the work….but so energized in what I’ve accomplished and how great my house feels! Now…there is still a couple things that need done…and they will get done..just not by Thursday. LOL. Carpets are going to be cleaned but not til March or so..after our chance of snow is gone. My windows need cleaned ..the high ones we don’t do ourselves..and again, that will be done in the Spring. Now…tomorrow, I will be smudging the house in every corner. Placing my protection sigils all around the house, fresh salt in all the corners etc. The weather is going to be very Spring-like..near 60*! I’m going to take advantage of that. Opening windows to let that fresh air come in and the stale air out. Really, we have had an amazingly mild Winter this year. So many warm days and very little snow. I am still hoping for a good snow! The kind you get snowed in, fire going, jammies on and hot drink in hand, can’t go anywhere snow. Now that all my housework is done, I could just relax and read and work on my BOS and things I have a hard time finding time for 🙂 But the mild Winter has been very nice as well. As a matter of fact, I plan on going for a walk at our local nature preserve and enjoying that warm weather! There is a rescue raptor center there..and I love to go and visit the owls that reside there permanently. I adore Owls and need a fix! 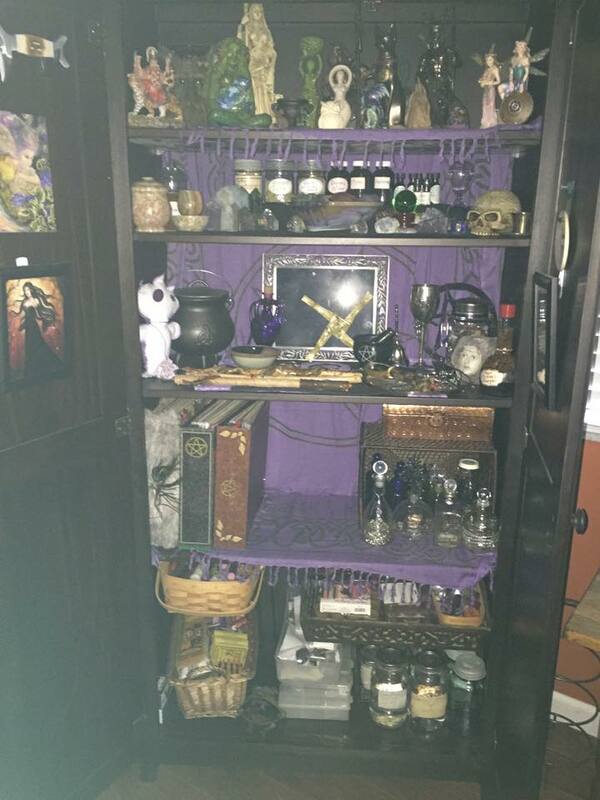 I got my altar done today…thought you would like to see the pictures. I went with pretty much a red and white theme, with a bit of gold and green thrown in. The red and white is traditional colors for the Goddess Brighid. This year, I’m using her colors to honor her. The green, shown in the live greens from my yard, and the green celtic knots on the votive holders..represent both her mantle of green, the seasonal greens that will be burned in a fire on Imbolc, and of course the green celtic knots represent the fact that she is Celtic. I chose a silver candle for the Goddess and a gold one for the God. No matter how much or how little you do to get ready for Imbolc, do something to recognize the day. If all you do is light a candle, take a walk, open a window, have a quiet meal with your family..whatever you please is just fine. But honor the day. So many people are not overly fond of Winter. 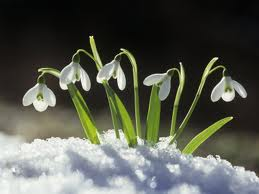 Imbolc, lets us know that Spring is coming and it will be here before we know it! It’s a promise from the Goddess, Mother Earth, the Sun God. Enjoy the Sabbat…rest and relax for the rest of the Winter and I wish you all a Blessed Imbolc to you and your loved ones. May the Goddess Brighid give you Peace, Love and Joy! Merry Meet on this beautiful Sun day. Hope your New Year is going well so far. I have been sick with a virus that has had me down for some time now but I’m pulling up my bootstraps and telling myself I’m OVER it now 🙂 I do feel a bit better today and hope it continues. As I’m having a quiet day I decided to post on my blog…about Imbolc….as I was making notes and lists to get ready for this wonderful Sabbat. Imbolc has always been special to me because it was the first Sabbat that I celebrated. It always feels hopeful and full of magick to me. Imbolc, known also as Imbolg, Candlemas, the Festival of Brighid, and the Feast of Lights. The word Imbolc means “in the belly,” or in the womb of Mother Earth, as well as “in milk,” which refers to ewes coming into milk for the first lambs of the season. This Sabbat marks the return of spring, even as winter continues its reign. Imbolc is February 2nd and is of course, in modern times, also known as Groundhog’s Day. Imbolc, for me, is a time of cleansing and purification. It’s all about Spring Cleaning! It is time to throw out the old and bring in the new. This not only means the “stuff and clutter” in your home, but also your old thoughts, anger, hurt feelings etc. To Sweep out negatitive and stagnant Air and bring in fresh, clean positive Air. To re-new my home and myself. After a thorough Spring Cleaning on my home, I Cleanse and Bless my home and those who dwell here, and cleanse my body and my soul as well. Imbolc is when I re-dedicate myself to my path every year. Though it’s not necessary to do, it re-energizes and re-connects me to my path, my Goddess, my way of life. The customs of Imbolc include ritual “spring cleaning” of the house, to banish the last of winter and hasten the coming of warm, sunny days. Some things I do while cleaning…..I use lavender and rosemary in a pot of boiling water to wash floors and walls, vinegar and mugwort for windows and mirrors. Burn sage to cleanse the psychic energies, and replace old protection and prosperity charms. I wash all my curtains and linens and give them a good spritz with lavender water before re-hanging them. I clean out drawers, closets, cupboards. Sweep high and low. Replace burnt out light bulbs, anything that’s broken, throw out that is which is no longer of use or pleasure. The house will smell and feel amazing when you’re done! Oh, I like to replace all my old candles that may not be finished yet…just to have a fresh start! I also spend some time on myself. Taking a ritual bath scented with your favorite herbs/oils or sea salt is always cleansing and renewing. As you soak, meditate to clear your mind and heart of any thoughts or emotions that no longer serve you. This is all to “start a-new” in mind, body, spirit and home. Anoint your chakra points with Blessing oil after and spend some time meditating and focusing inward on yourself. Let go what needs to go and open yourself to new possibilities, Joy, Peace and Love only. Let the negative go and the positive take over. You will feel so great afterwards. 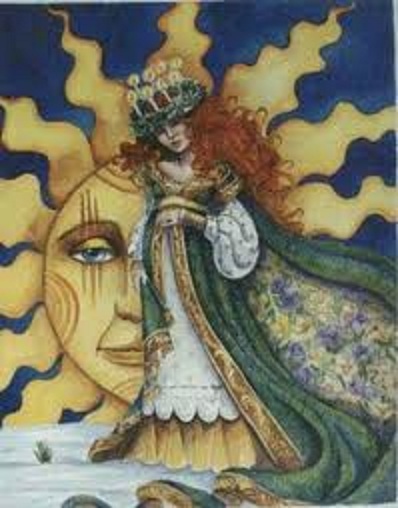 On Imbolc Night, in ancient times, The Goddess Brighid was honored in her Maiden form. One way to honor her is this. Home hearth fires are put out and re-lit, and a besom is placed by the front door to symbolize sweeping out the old and welcoming the new. Candles are lit and placed in each room of the house to honor the re-birth of the Sun. Just before sunset, turn off all the lights in the house. Carrying a single white burning candle, to represent Brighid, knock three times on the front door and invite the Goddess to enter, asking that she bestow health, success, abundance, and love upon everyone in the house. Then slowly begin turning on the lights, moving room to room, until every light in the house is on. This is really magickal to me..symbolizes the Darkness of Winter changing to the Light of Spring. If you have made a Brighid cross, have it on your altar or hanging near your front door or fireplace to represent Her as well. *Herbs-Angelica, basil, bay laurel, blackberry, heather, iris, myrrh, violets, clover, willow, and all yellow flowers. To aid you in your house cleansing, here is a ritual I love to do after all the Cleaning is done…. 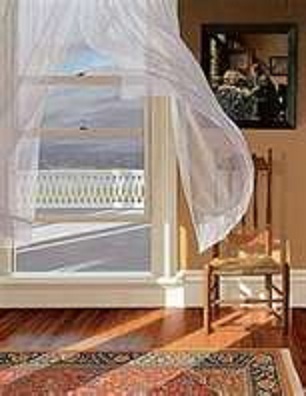 When you are finished with every room, close the windows, step back and take a deep breath. Feels good doesn’t it? 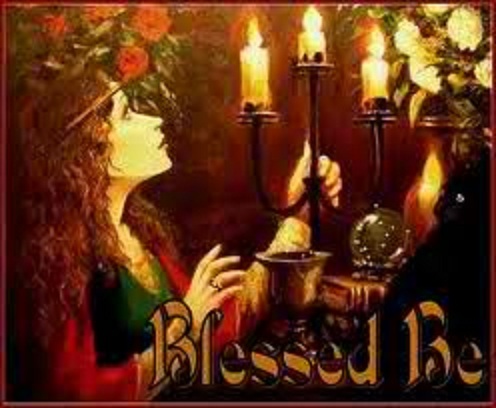 I usually do this House Blessing…then light all the candles and turn off lights and welcome in Brighid as written above. Then I sit with a nice glass of Bailey’s or Wine and enjoy the feel of my Clean, Cleansed and Blessed home! I’m ready to deal with the rest of Winter and my heart knows that Spring will be here soon! The garden in my mind does grow. And see my tulips blooming bright. I can see them blooming there. Though days are short, my vision’s clear. And through the snow, the buds appear. And morning glories do entwine. Replace the frost, if I just blink. My inner eye sees past the snow. 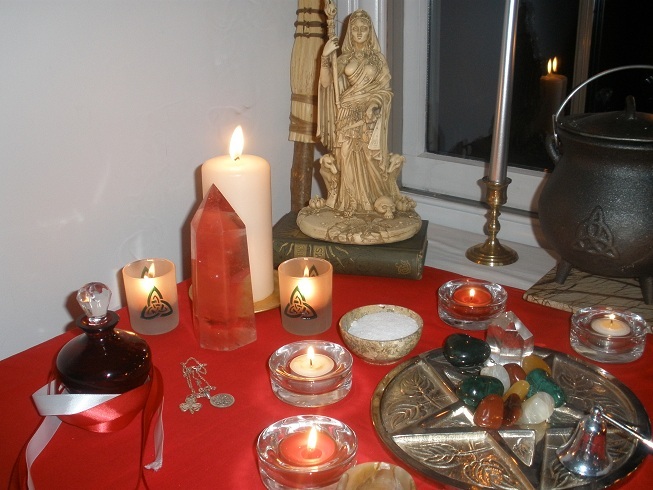 I will post more about my altar and my Imbolc celebration in the coming days. If you haven’t already started thinking about this beautiful Sabbat, then do. There is alot of work involved with this one. The clearing out of the old is not for the faint of heart! LOL Be brutal in both your home and yourself! Really clear out the stuff that needs to go. You will feel so much better about your home and you will feel lighter and happier with yourself as well. Spring is coming and I know that makes many of your heart’s soar!! Start it out with a clean, uncluttered great smelling home and a clean slate full of positivity, lightness and joy for yourself! The Magick of Imbolc is upon us! Oh, tonight is the Full Wolf or Cold Moon. Her energy is amazing as I visited with Her last night and will again tonight. Doing some healing work for myself and some friends of mine, making Moon water, cleansing and energizing some new crystals, tools etc. 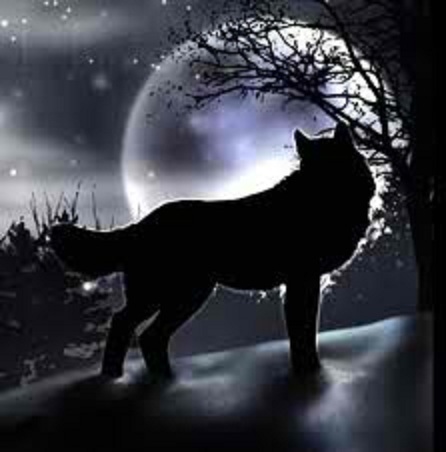 Blessed Full Wolf Moon to you all! Make the Most of your time with Her! Greetings lovely friends. How is your New Year going so far? Mine is going very well. As I write this it is 2:30pm..I am still in my jammies, there is snow on the ground and it’s really cold out and snowing again. A warm fire, a warm drink, celtic music playing, veggie soup in the crock and I have just finished catching up on bills/paperwork and organized some things. Now I am relaxing and have started thinking about Imbolc and how I want to celebrate it, decorate my altar, etc. 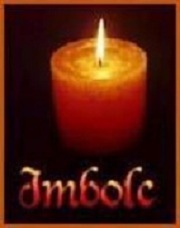 Imbolc is a a wonderful Sabbat to me as it is the first one I actually celebrated many years ago. I had read about Sabbats for many years, knew alot about them, but hadn’t done anything but read about them and recognize the day. When I finally actually DID something to celebrate..well, my practice changed for the better, needless to say. So lets talk a bit about Imbolc. I love the book Simple Wicca by Michele Morgan for her beautiful prose on what is happening to Mother Earth during the time of each Sabbat! 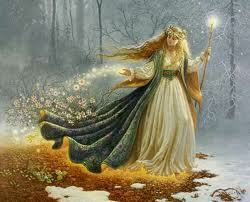 This is Imbolc, known also as Imbolg, Candlemas, the Festival of Brighid, and the Feast of Lights. The word Imbolc means “in the belly,” or in the womb of Mother Earth, as well as “in milk,” which refers to ewes coming into milk for the first lambs of the season. This Sabbat marks the return of spring, even as winter continues its reign. Imbolc is February 2nd and is of course, in modern times, also known as Groundhog’s Day. Imbolc is a time of cleansing and purification. It is time to throw out the old and bring in the new. This not only means the “stuff and clutter” in your home, but also your old thoughts, anger, hurt feelings etc. It’s time to prepare for the warm spring days and for the renewal of Mother Earth and her bounty. Rites of initiation and consecration of altars and ritual tools are often conducted at this Sabbat. Imbolc is the time of year that I often renew my devotion to my Path by performing a self re-dedication ceremony. The customs of Imbolc include ritual “spring cleaning” of the house, to banish the last of winter and hasten the growing days. Use lavender and rosemary in a pot of boiling water to wash floors and walls, vinegar and mugwort for windows and mirrors. 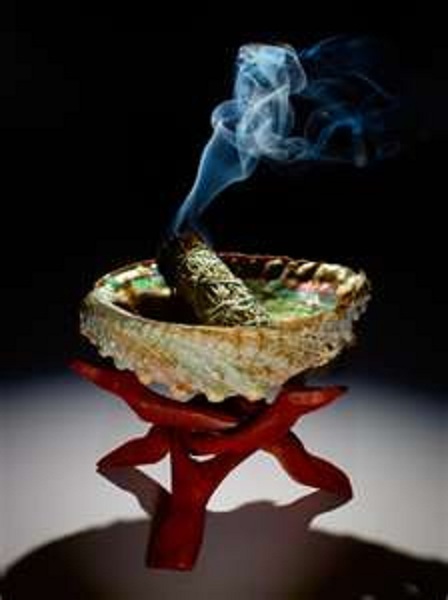 Burn sage to cleanse the psychic energies, and replace old protection and prosperity charms. I will be renewing my witches bottle at the Full Moon closest to Imbolc. Cleanse your body with a ritual bath scented with lavender, and as you soak, meditate to clear your mind and heart of any thoughts or emotions that no longer serve you. This is all to “start a-new” in mind, body, spirit and home. I love doing this..the house smells wonderful and feels so clean..and cleansed and Blessed, and what’s not to love about a ritual bath with great smelling lavender! In ancient times, the Goddess Brighid was honored as her Maiden aspect, as the Bride. One way to celebrate her is to make Brighid’s Crosses, fashioned from wheat stalks and exchanged as symbols of protection and prosperity in the coming year. Home hearth fires are put out and re-lit, and a besom is placed by the front door to symbolize sweeping out the old and welcoming the new. Candles are lit and placed in each room of the house to honor the re-birth of the Sun. Just before sunset, turn off all the lights in the house. With a single white candle burning to represent Brighid, knock three times on the front door and invite the Goddess to enter, asking that she bestow health, success, abundance, and love upon everyone in the house. Then slowly begin turning on the lights, moving room to room, until every light in the house is on. -First do a complete physical cleaning of your house. -Clean windows with vinegar and mugwort water. -Clean floors with lavender and rosemary water. -Throw out old, used, worn items or give to charity. -Sort thru piles of paperwork. -This physically sweeps out the old negative energy in the house and makes room for the new. -Light a smudge stick and walk around the rooms of your house to replace old protection and prosperity. For me the house cleaning part takes place the week before. Then I do the floors and windows the day of, then I perform this ritual. The night of Imbolc, I light candles all over my home for awhile. Then I do as suggested above. I turn off all lights and light a single white candle and go to each door, knock 3 times, throw it open and invite in the goddess and ask her for all the good things in life to come into my home; Health, abundance, prosperity, and joy! As I go room to room, I turn the lights back on. I will then spend time at my altar doing my self re-dedication and honoring the Goddess Brighid, whom I often will call on. 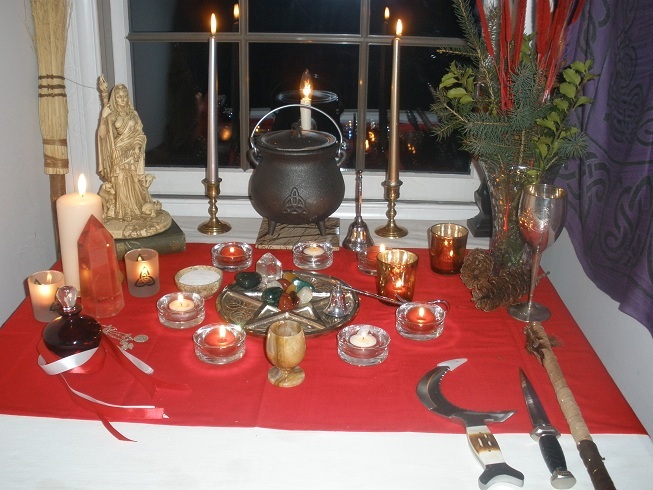 I will post more about my altar and my Imbolc celebration in the coming days. If you haven’t already started thinking about this beautiful Sabbat, then do. There is alot of work involved with this one. The clearing out of the old is not for the faint of heart! LOL Be brutal in both your home and yourself! Really clear out the stuff that needs to go. You will feel so much better about your home and you will feel lighter and happier with yourself as well. Spring is coming and I know that makes many of your heart’s soar!! Start it out with a clean, uncluttered great smelling home and a clean slate full of positivity, lightness and joy for yourself!